THE Zimbabwe Special Economic Zones Authority (ZIMSEZA) says it is ready to roll after a year of putting in place systems and procedures. The authority now has a secretariat and a chief executive officer (CEO) and will start approving projects as soon as government gazettes regulations and incentives, which are expected next week. The authority, which was constituted in June last year, had operated without a secretariat until February this year and had been without a CEO until May. 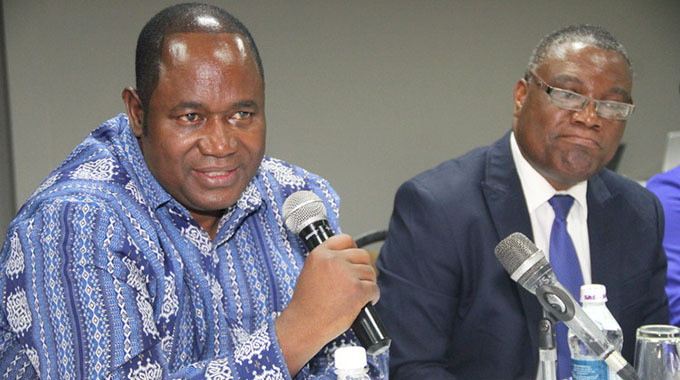 "We are now ready to roll…we have spent the last 350 days working on putting systems and procedures in place, meeting ministers and their officials to go through what it means to have a special economic zone (SEZ) as well as the imperatives of such zones," ZIMSEZA board chairman Gideon Gono told journalists at a media briefing in Harare on Tuesday. "We also have been learning how other special economic zones have operated the world over and putting together incentives packages, be they fiscal or non-fiscal as well as dealing with staffing issues and other logistics. "We will now, after gazetting the regulations and incentives this week, request investors to submit specific projects that speak to exact location of their proposed factories. We will look at other attributes such as proximity to raw materials or markets, road, rail or air networks, waste management programmes, power and water availability, proximity to labour markets and other amenities," the former central bank governor added. Government has already gazetted fiscal incentives with respect to SEZs through the Finance Act of 2017. The fiscal incentives include tax rebates and duty exemptions. ZIMSEZA says the bulk of the incentives are non-fiscal and will be gazetted soon along with the regulations that pertain SEZs. ZIMSEZA also says it has received interest from all over the world including from Europe, USA, India, South Korea, Canada and Australia. Meanwhile, government has expressed its interest for SEZ status to be given to Sunway City, Victoria Falls, Bulawayo, Mutare and Norton. The authority says it will consider these areas through the normal due procedures. ZIMSEZA CEO Edwin Kondo said SEZs are viewed as a panacea for economic growth worldwide even though some countries face challenges to achieve meaningful economic growth because of various reasons. The authority would, in consideration for an investments licence, "regard the extent to which the proposed investment will lead to the creation of employment opportunities and the development of human resources", Kondo said.